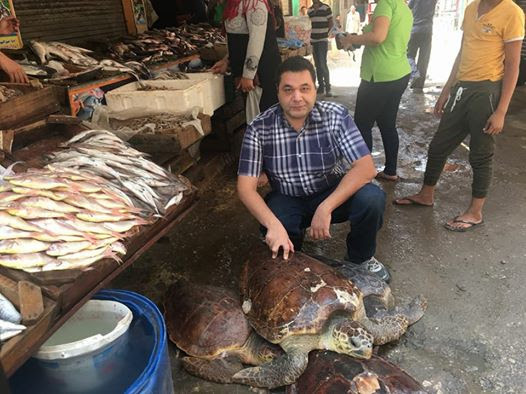 The team for rescue of sea turtles and wildlife, a civil movement in Alexandria, has succeeded in rescuing four turtles that had been spotted in a pet shop in Cairo. The turtles are on the CITES (Convention on International Trade in Endangered Species) list. According to May Gawad Hamada who heads the team for the rescue of turtles and wildlife, the team received a SOS informing about the turtles. 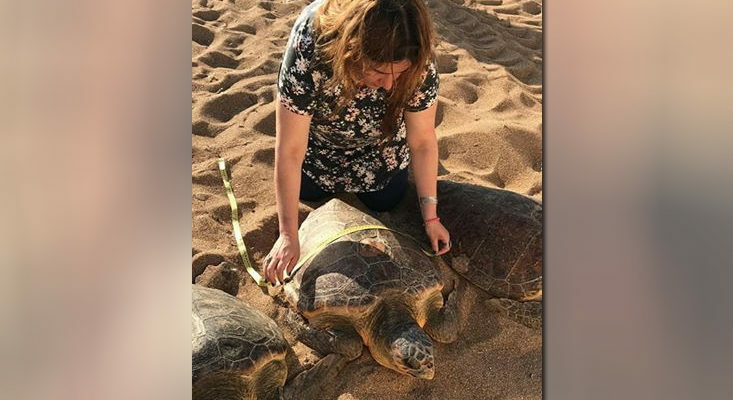 Given that trade in turtles is banned by the Egyptian environment and wildlife law, and according to CITES of which Egypt is signatory since 1978, Ms Hamada told Watani that the team was able to rescue the turtles and bring them to Alexandria. 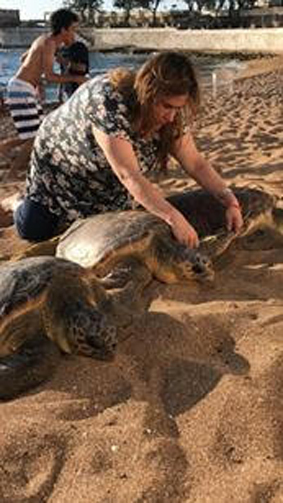 Ms Hamada explained that the turtles were 40 – 50 year old females of the big-headed species, and weighed some 50 – 60 kg each. 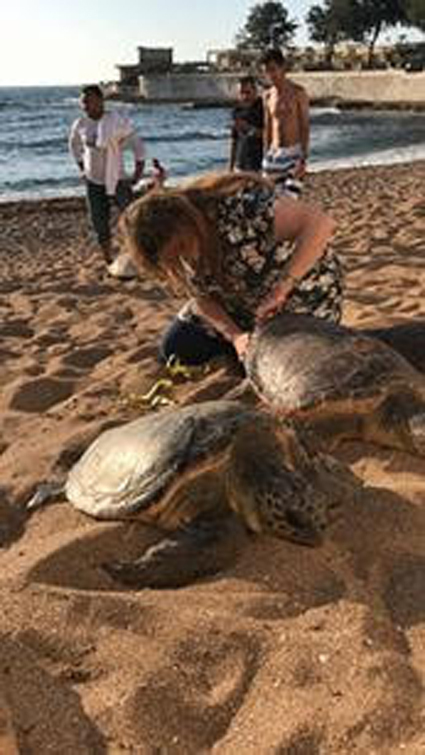 A checkup, she said, revealed that they were in tolerable health condition, but their shells suffered dryness owing to their being kept out of water, and also a few scratches due to mishandling. 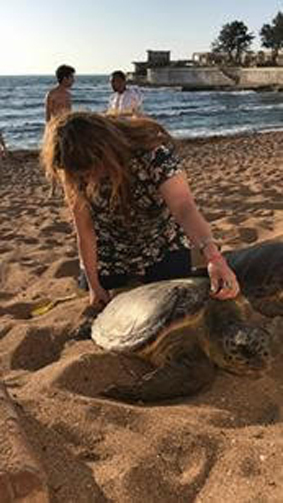 Traditional practice decrees that the turtles should be given names before recording all data concerning them and returning them to their natural habitat; Ms Hamada said the four turtles were given the ancient Egyptian names of the pyramid builders Khufu, Khafre, Menkaure, and Snefru. Finally, the turtles were released into the Mediterranean off Montazah coast in east Alexandria.